Interesting site I have not used before has been recommended to me this week which I think could be quite lucrative if played correctly. The site is a casino / games site called mFortune (desktop & mobile options) and they have an original approach to bonus wagering and no games restrictions too (as they all count as 100%). This makes the sign up offer decent but will be really good for future reload offers as this is where the real money is to be made. 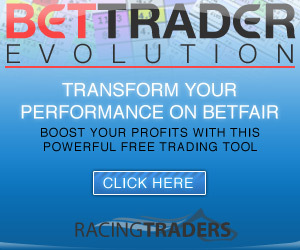 The sign up offer is a free 100% sticky bonus upto £100 (deposits are via card or Paypal). The deposit + bonus has to wagered over 1x before any withdrawal can be made (just a requirement of the sign up off, subsequent reloads are wager free!) but this can be on ANY game i.e. Blackjack. This is how it works. Your account has 2 areas cashable & bonus. The deposit + bonus go into the bonus area and winnings into the cashable area but any money in the cashable area is always used first when you play. So after that initial wagering you need to see what you have in each wallet (just goto the withdrawal area to see it) then the idea is to get money into the cashable area as many times as you can to make a withdrawal. The minimum withdrawal amount is £10 for card / £20 for Paypal but you can make as many as you like as each time they will go to a pending area. So the idea is to get these queued up as you go along, then reverse them all and then make one large single withdrawal if you see what I mean. So really the best idea is to try and double on either roulette (max stake £20) or blackjack (max stake £10) then withdraw from the cashable area and if you still have more bonus funds try and repeat again so you can request another withdrawal. With the first withdrawal requested then you will lose the original bonus amount but this only applies to the sign up offer so potentially extra reloads could be very lucrative as you can just keep withdrawing each time you get £10 or £20 in the cashable area. For my sign up to test the theory I just used £25 from Paypal, this was instant doubled to £50 and they threw in a no deposit free fiver too as I was a first timer, so now I had £55 in my bonus wallet. I played 55 x £1 hands of Blackjack to complete the signup wager requirement and ended on £60 which was £50 in my bonus wallet and £10 cashable. I needed £20 to request a withdrawal via Paypal so I played a £20 spin on roulette and won so withdrew £40 which goes to a pending state that can be reversed. So my cash area was £0 & £15 in the bonus area as the value of the original bonus is deducted on your first withdrawal request. I then did another £15 spin and lost but was still £15 up from my original £25 so all good for less than 10 mins clicking. Of course you could play Blackjack or even some slots looking to hit a big single win so a decent opportunity. I think the real value however will come with the future reloads as you don’t need to wager these over once before requesting and the person who recommended the site to me said they are pretty frequent too. You may initially get offered a 25% bonus but ignore that as the 50% or even 100% will soon follow. This could be a nice little Brucie bonus on top. 24 hours after signing up I was sent a text saying there was a free bonus on my account, ok only £1 but according to other people with accounts then this is likely to a very regular thing and can soon add up. As the minimum Paypal withdrawal is £20 then what you can do is keep a minimum of £20 in your account as cash then when you get a free (free as in no deposit) bonus, login and withdraw the cash so it goes into pending withdrawals. Then goto whatever game you like in an attempt to double the free bonus. I got a £1, so played a single £1 hand of Blackjack which I won so I now had £2 in my cash balance obviously too low to request a withdrawal with so I then reversed the previous withdrawal so now have £22. The idea will be to keep playing these free ones until I can get upto £40 at which point I can withdraw £20 for real and keep the other £20 back to carry on with this strategy. A slow but hopefully steady drip feed and literally takes less than a minute to do so why not. Have just completed a full test on mFortune sister site and this PocketWin works in exactly the same way, so this could be very lucrative over the coming weeks if they keep up like this.